Fun Features That Make This Your New Go-To Movie Guide. Stop wasting your time ping-ponging between streaming services, apps and television channels and spend more time enjoying movies with our specially curated Double Feature Lineups! Win points with your guests by adding Pop & Fizz's Brownie Point Screening Picks or Alternative Title Suggestions. Start fun, personable chats using Pop's Questions & Movie Discussion Guide! Set the mood or keep that groovy feeling going with our Playlist Picks featuring songs from or inspired by the movies. From classic hits to our new favorites, we'll have you jamming and planning in no time! Learn and share Fun Film Facts, discover Cool Points and Stand Out Moments that make the films special. Join our online movie community for more exclusives, contests & fun. How Pop and Fizz Can Help Organizations, Educators, Retailers and more! It bridges the gap between digital screening technology and customers by providing accessible, fun to learn personable film knowledge. The genre specific chapters provide more accurate title suggestions than modern streaming services. The topical film pairings and easy to navigate, fun layout increases the rate of actual screening time and interaction between viewers. It features films made by successful and inspiring female filmmakers in all aspects of filmmaking. It's available in both print format, and a digital, interactive ebook format which will enable readers to access and watch the films in live-time. Additional books in the series are scheduled for regular publication over the next two years, and will cover both popular and niche film/TV genres. Customers will receive special access to bonus content including interviews, behind the scenes information, news and supplemental material. Series also available wherever books and ebooks are sold. List of local retailers by region coming soon! More Author Pages & Retailers. 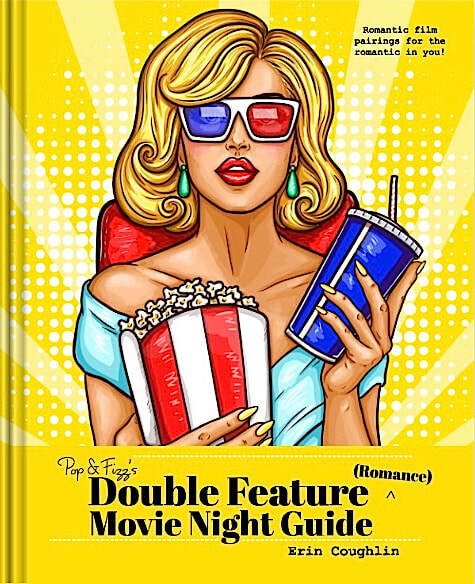 Attn: Movie Buffs, Book Clubs, Film Organizations & more! Erin is available to appear as a fun book club crasher, guest speaker, panel host, lecturer and instructor etc. online and in-person. Looking for help planning / running an event or just want to invite Erin to cover your upcoming event? Want to collaborate with Erin on creating a fun, educational film event or program for your patrons, attendees and group members? Drop us a message or call today! Hey BookSellers, Vendors and Retailers! Subscribe to our newsletter to get updates and exclusive information about your favorite new series.